1. CSR 4.1 chip, faster connection and stable signal, it could transmit dynamic and pure sound in high speed. 2. IPX2 splashproof, sweatproof and anti-amog, protect the earphone from acid and alkali corrosion. 3. Titanium diaphragm, subwoofer, produce potent and excell sound, put you personally into music party. 4. 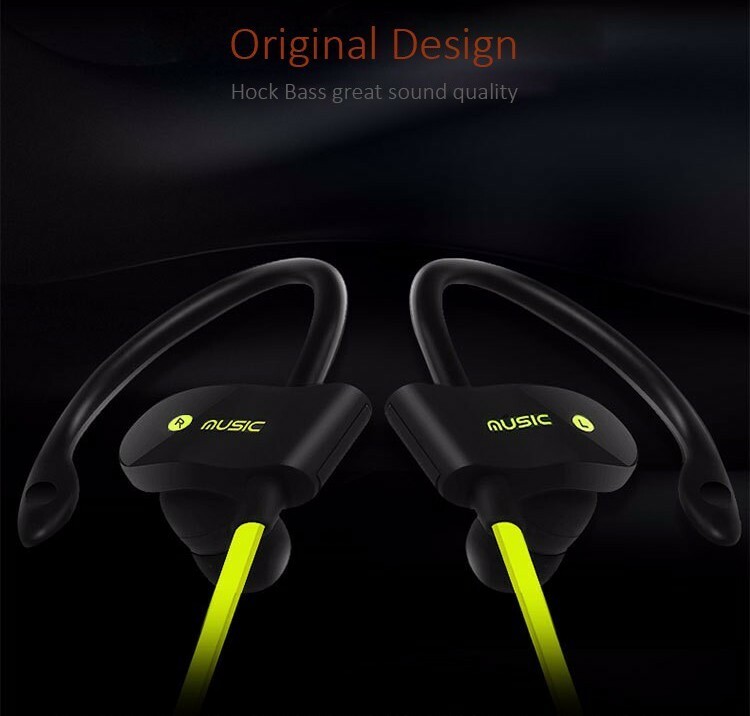 Ergonomic design, soft earmuffs and earhook design, pervent the earphone from sliding out while running. 5. CVC 6.0 noise reduction technology, reduce the outside inference more effectively, provide high clear phone call. 6. Equiped with 70mAh battery, only need 1-2 hours for full charge, and it supprot approximately 6h music time. 7. Wire control, long press the or – could change the volume, and short press or – for the track change. Bluetooth device, and search “S4” . There is voice prompt while the earphone is connected. 2. Languages change: Double press the middle button while the earphone is at paring mode (the blue light and red light flash alternatively), the language would be changed.